This is a Christian fiction novel so there is not cussing or sexual content. And I found that I enjoyed it anyway. The book is not preachy by any means. It was a great story, there is sadness and there is triumph. What I liked about this book?That it was about survival and finding your place in the world. I loved Leona'a resolve and her ability to land on her feet. She stood up for herself when it counted most. Her old evil mama was a hoot though.What I did not like?IT was kind of slow. I found myself wishing they would hurry up and get to the good part. Or whatever was next. However, I am inpatient.How the book could be improved?I wish the author would have extended the book past the point where it ended. I don't want to give away the ending. My book club read this book and our assessment of it made for a rather tense meeting. In a group of Christians I am a Secular Humanist. I think that having a sort of outsider's view gave me a very objective perspective. I went in to the meeting thinking that someone would likely agree with me. I was very wrong. Understand that I am not an angry Atheist by any stretch of the imagination but I felt that there was SO much potential for this novel to show the evolution of the main character, a logical and realistic reuniting of family, and the opportunity to show true Christian grace of family, friends, and community reuniting and finding a better path to the future. The rawness of the characters throughout was disconcerting but I expected them to grow and change. Unfortunately, I was pretty much appalled by the behavior of the characters at the end. Nothing was really "reinvented".It seemed to me that the author may have felt rushed near the end of the book and didn't give the story or the characters a chance to choose a better course of action [ in her writing process ]. I found the snarky and superior tone of the ending did the story a tremendous disservice. It was also disappointing to see the weight given to how HANDSOME the pastor was and how everyone was drawn to him for the most superficial aspects [ yes I understand that this is how the world works, there was just no spiritual BALANCE to that prevalent mind-set ]. I liked the concept behind the story line: a pastor's wife, living in the church-owned parsonage, is abruptly widowed. Always dependent on her husband's strong personality and comfortable in her role as his helper, she now must become her own person and make her own life. Unfortunately the writing never quite invites you in. The plot is overly segmented and often difficult to follow. The reader never actually experiences Leona reinvented, but only rehashed. Scriptures are placed carefully and predictably. But the worst part - the part that made me groan and roll my eyes - was the imagery. At points, her story moved along smoothly enough, but then I'd hit rocky pavement littered by sharp descriptions of every type and of every thing. My mind stumbled and stalled as I tried to follow the faint trail of her plot through the clutter. Some of her images bordered on the ridiculous, like when she described the main character entering her overbearing mother's hospital room "like the Ty-D-Bol man. "It wasn't a horrible book, but it wasn't one I'd recommend. It had a unique story line and interesting characters. And her descriptions were vivid, though heavy-handed. I ended the book without the sad regret you feel when you've become a part of the literature. 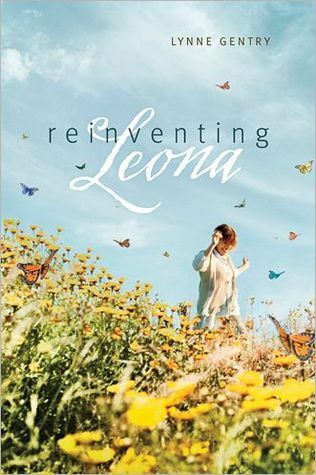 Reinventing Leona by Lynne Gentry published by Tyndale's Digital First program in June 2011 is full of figurative language and realistic characters. I loved Lynne's writing style and her creative use of words and quips. The book hooked me with the first chapter, and I wanted to keep reading to find out what happened. It's fast paced and an easy read. Though one part of the novel was predictable, there were a few surprises along the way, and I could just picture the characters, since they were so vividly illustrated. Annoying as some were, they proved their value in the end and that they were really true friends. This is a novel where you can say the characters make it a gem. I loved the laugh near the end, and I especially loved the methods the author used to demonstrate how a preacher's life and a preacher's wife's life aren't easy. I feel the characters were realistically portrayed by showing them all as mere humans and none of them as perfect, even though they were Christians. The vivid descriptions of the looks in their eyes and on their faces were awesome. Leona has been a pastor's wife for 30 years. She's learned to put on a happy face and not complain about anything. Suddenly, she finds herself a widow and has to find out who she really is.....I want to say that I didn't really enjoy the book until I got to page 100 or so. The author uses a few too many similes in her writing and some things were a bit 'stilted' and didn't flow very well. The story was a bit sad - the parishoners were very self-centered after their pastor's death and seemed to not care at all about Leona. Her two children are living far from the Lord, which also made me sad - that they could grow up in a pastor's home and not learn to love God. Things take a bit of spin toward the end - the characters becoming a bit more likeable and the story line becomes more intense. Overall, I did enjoy the book.This book was provided by the publisher to me for an honest review. I read this book because it was free on Kindle, and I wasn't expecting to love this book as much as I do.When Leona's husband passes away, her world collapses. She loses her husband and her position as a pastor's wife. The character development in Leona as she finds her way is authentic and beautiful. The look inside the role of a pastor's wife is interesting, and the quirky church members provide some levity.Rotating among Leona, her daughter, and her son's point of view, the book gives a true picture of grief and how it affects different people. Most importantly, the story depicts the healing and the good Christ brings believers even in the midst of great loss. A "light" summertime read, certainly not deeply thought provoking. Growing up in the Protestant church "culture" I could easily relate to the humor in the book as Leona, the gracious pastor's wife, deals with her quirky congregants, hypocritical elders, and demoralizing church politics. At times, the story moved rather slowly and predictably but by the end I was chuckling at the way Leona, with her steady faith, was able to bring everyone together and see everything "work for the good" in spite of her tragic loss. "Living in a parsonage is not for sissies," Leona's husband, the pastor, reminds her. And Leona quickly finds out, being the pastor's widow is no walk in the park either. Leona is sweet, sassy, and spiritual. I loved how she and her son and daughter saw their family in such different ways. And I loved the quirky collection of characters surrounding her, especially her best friend Roxie and the tension between this Episcopalian and the members of Leona's (Baptist?) church. The author's prose is vivid and original. But best of all, the story ends on a optimistic note. I hope there's a sequel in the works so we can return to Mt. Hope! Lynne Gentry - This girl who grew up on a Kansas dairy farm never wanted to be a writer, but she has always been a storyteller. Her mother called it "Selling wind in a bag." Lynne started out writing plays and skits. Then in a moment of sheer insanity, she decided to take a stab at writing full-length novels. Reinventing Leona was her first and it is no longer in print. The Carthage Chronicles are her time travel/sci-fi series. The Mt. Hope Southern Adventures starting with WALKING SHOES is her contemporary romantic comedy series. And GHOST HEART is a stand alone medical thriller.Lynne can milk a cow, drive a tractor, organize a banquet, prepare a kid for that first professional acting audition, or sit across the table and enjoy a cup of coffee with you.She loves spending time with her family and medical therapy dog.